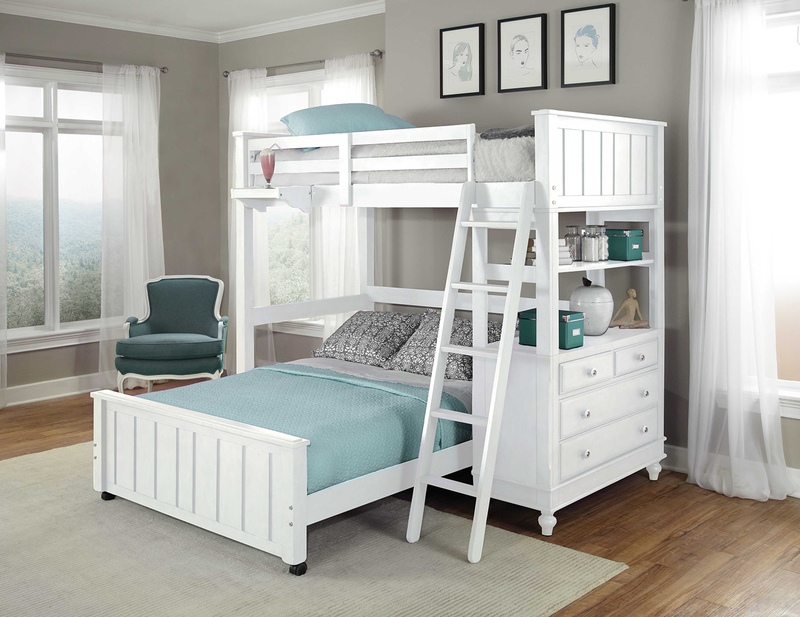 The Highlands youth bedroom collection will always be the center of attention in a child's bedroom. 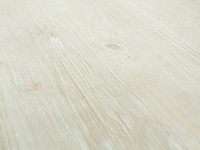 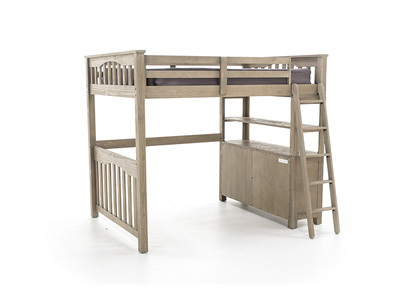 Destined to be a favorite for years to come, the Highland features a driftwood finish and solid iron hardware. 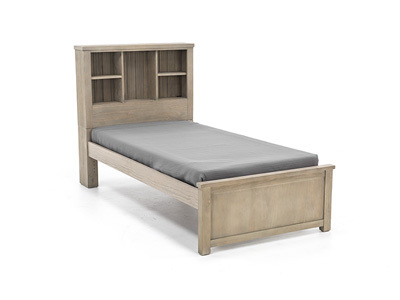 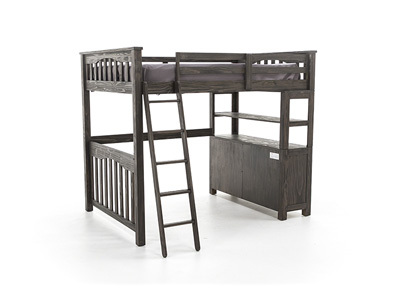 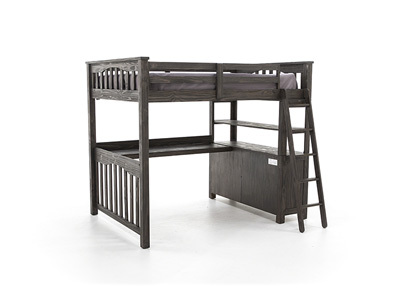 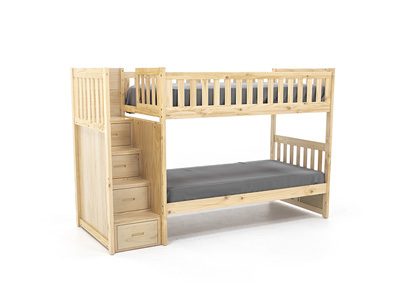 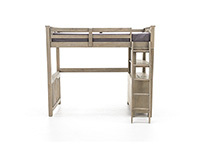 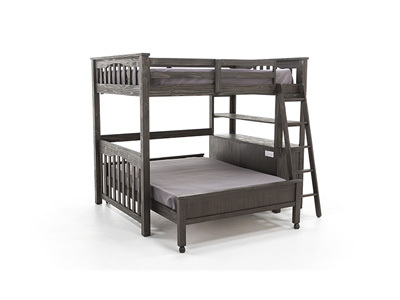 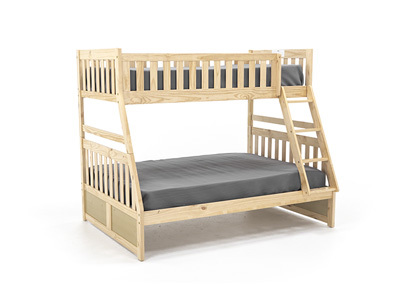 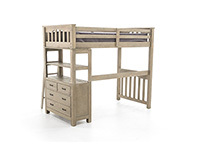 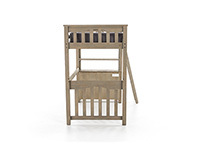 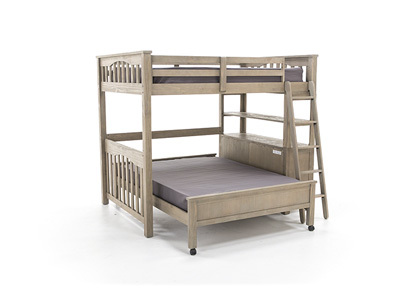 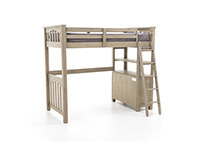 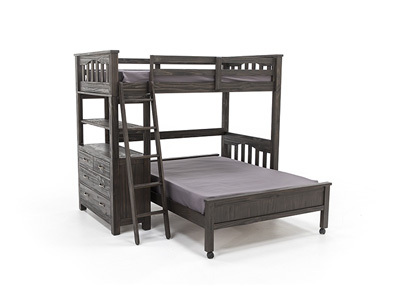 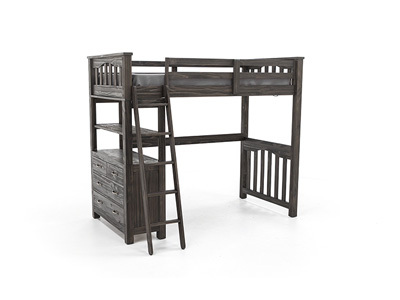 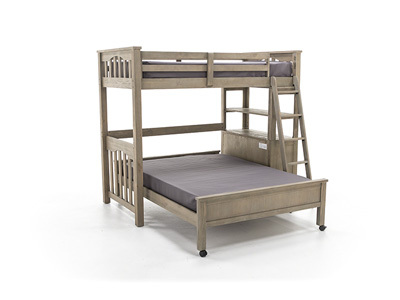 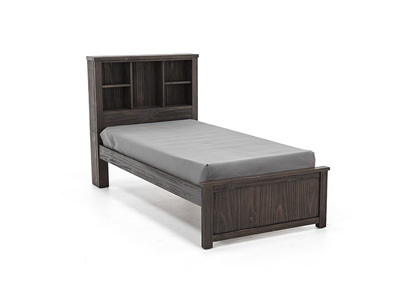 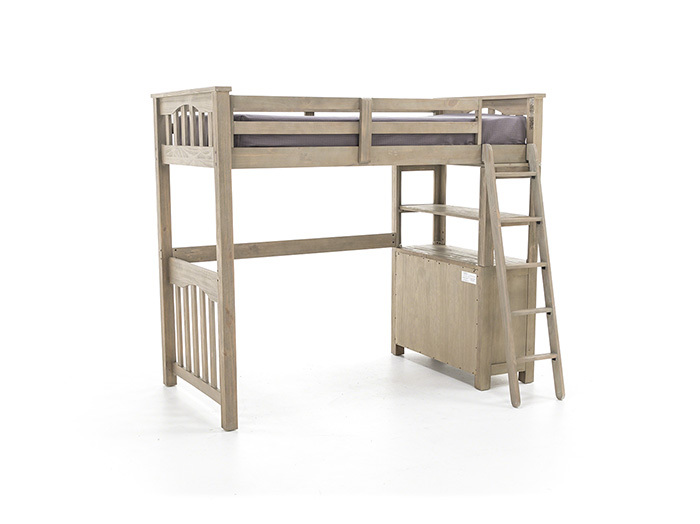 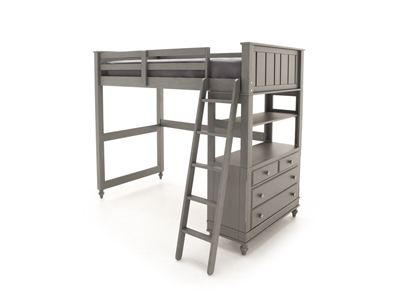 The loft bed features chest beneath to efficiently store your clothes and maximize room space! 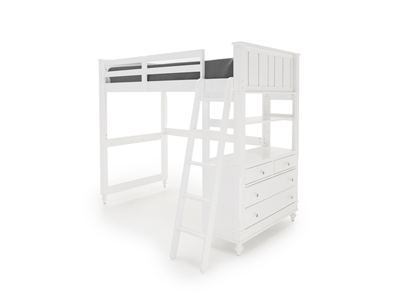 Height from floor to slats: 54"